The North County Fire Authority (JPA) is a Joint Powers Authority established in 2003 and currently serving the communities of Brisbane, Daly City, and Pacifica, with potential for cooperative agreements with other agencies. This Authority is a full service organization providing cost-effective and efficient deliver of emergency and non-emergency services to the member and contract communities. Ten strategically located fire companies and stations provide rapid assistance for medical, fire or other hazardous situations. 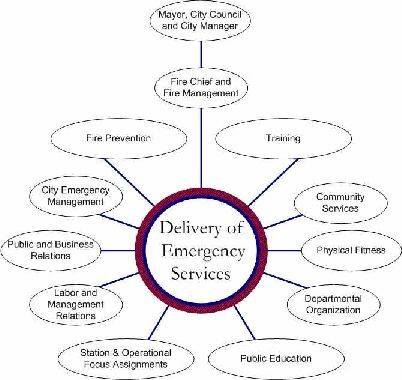 Emergency and support personnel provide all risk emergency and non-emergency services to an area of approximately 60 square miles serving a population of over 185,000 citizens. The North County Fire Authority oversees and manages the delivery of these services by way of three functional areas consisting of the Operations Bureau, Support Services Bureau, and the Fire Prevention and Administrative Services Bureau.